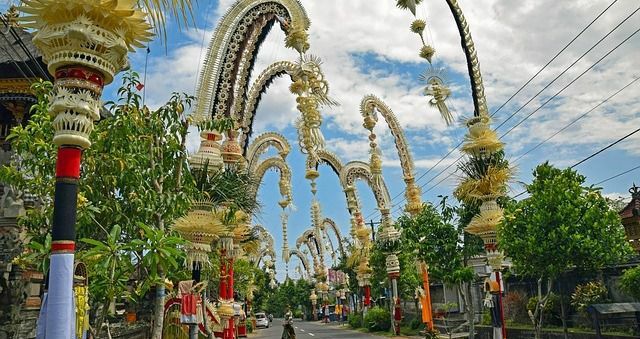 specifically provided, and offered now for you who interested to do bali sightseeing trips both within a half-day tour (short day) or full-day trip (whole day) when enjoy Bali holiday packages. All bali tours program that we have provided for you, supported with numerous interesting trip itinerary in it. which means: in this trip you will not be combined with other guests, only you and your group who will go and will not be shared with other groups of people. and a complete car permit for tourist transport, so that laterly made your recreation trip will becomes more enjoyable. With this system, can save costs that will certainly be affordable for you, while doing sightseeing trip on Bali island. then you will feel more comfortable on your vacation trip, when visiting all the tourists attractions that existed in Bali. with the best favourites half-day sightseeing activity schedule owned, also a popular short travel plan to see and visit a gorgeous place, ie: "Ubud Village". Which precisely located in Ubud village area - Ubud sub-district - Gianyar regency - situated in middle part from heart of Bali paradise island. roamed to view tropical spices plants - fruits and coffee plantations, as well as exploring other interesting tourist destinations in a half-day vacation trips. In addition to explore Badung - Kumbasari traditional art market then stepped up to roamed around modern life style at biggest shopping's centre in a half-day trips. and a popular half day travel plan to see an amazing beauty Tanah Lot Hindu Shrines built on huge sea boulder overlooking view Indian ocean with its beauty silhouette afternoon sunset. In addition also to visit a spectacular Taman Ayun Mengwi Royal Temple and explore a gorgeous place Alas Kedaton Holy Monkey Forest Temple (sacred bali native animals) in a half-day trips. ie: "Tanjung Benoa Beach" as a gateway of all "Watersports Activities". In addition to explore Nusa Dua Galleria Bali Collections, Jimbaran beach seafood restaurant and other interesting tourist attraction around Nusa Dua area in a half day vacation trips. in addition to visit Bali Cultural Park (Garuda Wisnu Kencana monument / GWK statue) and Jimbaran Beach Seafood Restaurant (Jimbaran fishing village) in a half day trips. which precisely located in Penelokan village area - Kintamani sub-district - Bangli regency - situated in northeast part of Bali paradise island. roamed to view tropical spices plants - fruits and coffee plantations, as well as exploring other interesting tourist destinations in a whole day vacation trips. 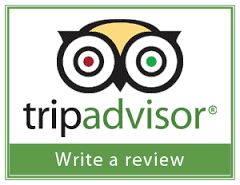 with the best favourites one day sightseeing activity schedule owned, also a popular full day travel plan to see an amazing beauty tourist attraction of Kemenuh Bali Butterfly Garden. which precisely located in Kemenuh village area - Sukawati sub-district - Gianyar regency. with the best one day sightseeing activity schedule owned, also a popular full day travel plan to see a gorgeous view of Ulun Danu Lake Bratan temple (floating hindu shrine on lake beratan). which precisely located in Candi Kuning village area, Bedugul - Baturiti sub-district, Tabanan regency - situated in northwest part of Bali paradise island. with its beautiful silhouette afternoon sunset view and exploring other interesting tourism destination in a whole day vacation trips. which famous as one of world heritage sites, and precisely located on slopes of Batukaru mountain - Jatiluwih village area - Penebel sub-district - Tabanan regency - situated in northwest part of Bali paradise island. 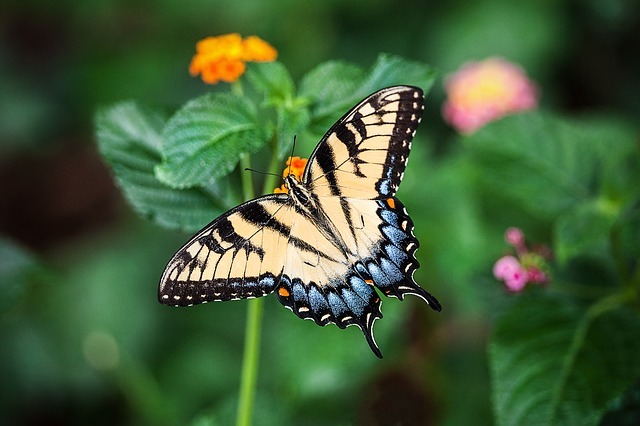 with its gorgeous silhouette afternoon sunset, also roamed around to see Bali Butterfly Park (Bali Insect Garden) and exploring other attractive tourism destination in a whole day vacation trips. 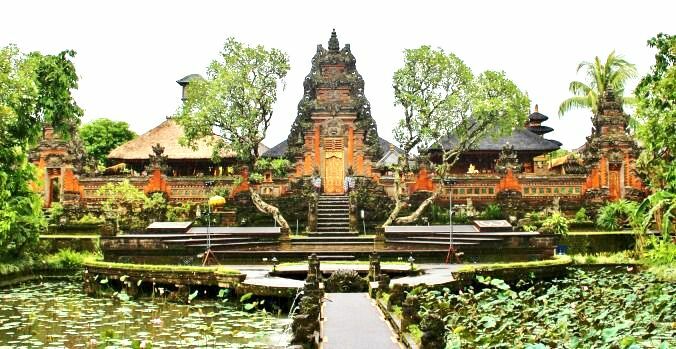 as the widest, biggest and oldest Hindu shrines which precisely located on the slopes of Mount Agung area - Besakih village - Rendang sub-district - Karangasem East Bali regency - situated in eastern part of Bali island. and roamed around to view tropical spices plants - fruits and coffee plantations, as well as exploring other interesting tourist destinations in a whole day vacation trips. Candidasa Beach & Kerthagosa traditional courthouse. In addition to visit and exploring other interesting tourism destination contained at east side Bali paradise island in a whole day trips. and visit an amazing temple view Besakih Hindu Mother Temple (widest, biggest and oldest centre all shrines in Bali), which standing upright on slopes Mount Agung. In addition to visit Ubud Art Village, Goa Gajah Bali Elephant Cave Temple, Coffee Plantation and explore other interesting tourism object in a whole day trips. 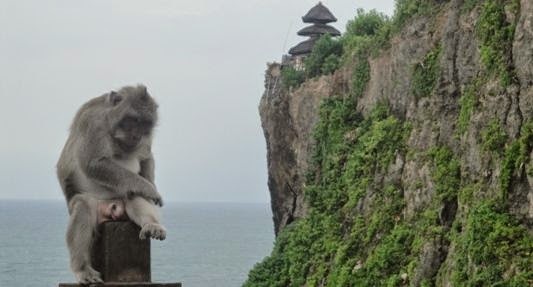 and stop for a while to look the marvelous local bali primates / monkeys (Bali native animals) come down from perched. 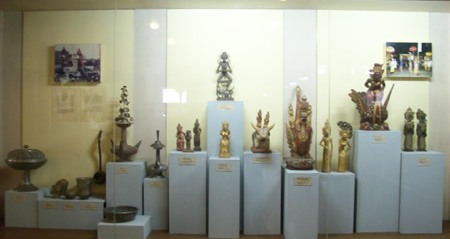 Besides exploring other interesting tourism object in a whole day vacation trips. 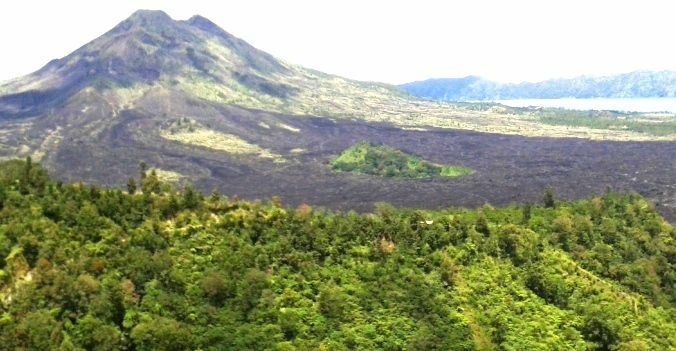 with best full day sightseeing activity schedule owned, and a popular one day travel plan to see an amazing famous sights lake and mountain Batur - Penelokan - Kintamani - Bangli - Bali. Tegallalang rice-fields terraces and exploring other interesting tourism destination in a whole day trips. and exploring the beautiful butterfly garden to see the most popular Bali flying insect conservation. and explore other interesting tourism destination in a whole day trips. 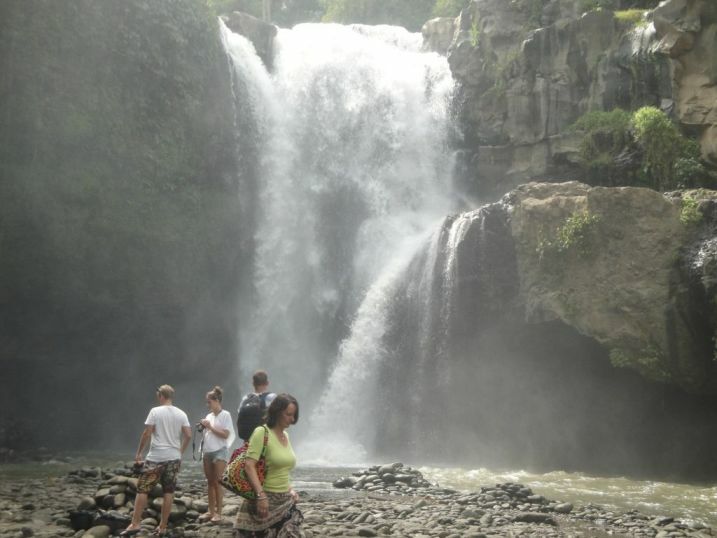 Tegenungan hidden waterfall and exploring other interesting tourism destination in a whole day trips. Coffee plantations, Tegallalang rice-fields terraces and exploring other interesting tourism destination in a whole day trips. Bali Day travel package is a renowned Sightseeing tourist activity that highly recommended by Sorga Bali Tours (Online organizer for holidays, Adventure packages and Bali tour service activities). So, what else are you waiting for ...? let's go touring with us...! For detailed Information and Booking Bali Day Tour Package please "CONTACT US" Sorga Bali Tours (Best Bali Holiday Packages).